Hailed as one of the finest films ever made, legendary director François Truffaut’s early masterpiece Jules and Jim charts the relationship between two friends and the object of their mutual obsession over the course of twenty-five years. 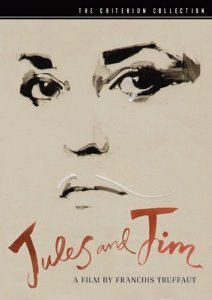 French film icon Jeanne Moreau stars as Catherine, the alluring and willful young woman whose enigmatic smile and passionate nature lure Jules (Oskar Werner) and Jim (Henri Serre) into one of cinema’s most captivating romantic triangles. 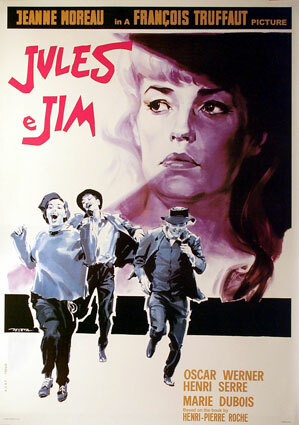 An exuberant and poignant meditation on freedom, loyalty, and the fortitude of love, Jules and Jim was a worldwide smash upon its release in 1962 and remains as audacious and entrancing today. This seems pretty good folks. In case there were any doubters as to whether the image transfer of this Criterion release wouldn't eclipse the competition (namely MK2 and to a far lesser degree the the old Fox edition), we have made small comparison with those discs with the first large capture of Jeanne Moreau. The Fox is stretched and less sharp, the MK2 is saturated. You may recall we had quite a debate about the aspect ratio in THIS (very old) comparison and went to great pains to determine which was more correct. Criterion has easily dispelled any potential queries here without measuring circles for roundness... or squares for correct geometric consistency. See HERE and HERE (Perhaps NY Times critic Manhola Dargis was correct in referring to us as 'fetishistic geeks'). Back to the Criterion - Louis has identified some flaws (below). I see good film grain and excellent contrast - perfect shadow detail. Original audio track, excellent subtitles, 2 commentaries and 2nd disc of stacked extra features including interviews and old TV excerpts. 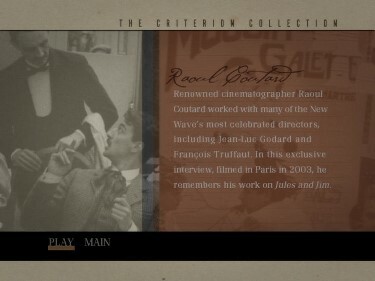 Really, this is a zenith pinnacle for any Truffaut fans. If I ever do find anything wrong I'll post it here. 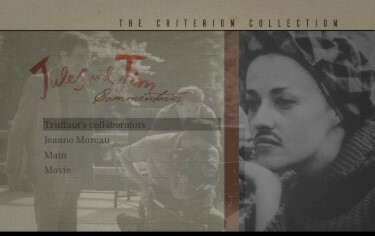 NOTE: Louis says: I want to call your attention to a huge blunder on Criterion’s “Jules and Jim". There is a sequence in which, incredibly, left and right are reversed. The reversal does not occur on the Fox/Lorber version. I will use the Criterion timings to describe the problem. Note when I say “left” or “right” I mean in relation to the frame as we look at it. 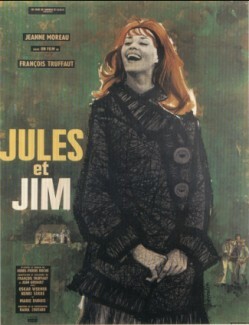 At about 56’14” the movie cuts to a shot of Jules and Jim sitting on a meadow. As we look at the frame Jim is on the left, Jules to the right, and there is a little bridge to the left of the frame. Albert walks up to them and sits to the left of Jim (as we look at the frame). So, around 56’56”, Albert, Jim, and Jules are sitting on the meadow left to right in that order. 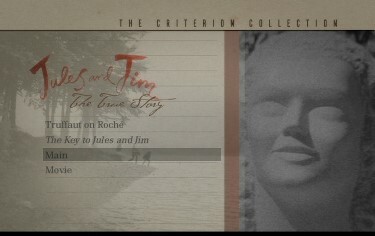 Both Criterion and Fox are the same here. The shot continues with Jim telling a war story. At 58’56” cut to Catherine in the window. On Criterion, the window is on the left, while on Fox it’s on the right. It’s hard to know which is correct, but one of them is reversed! At 58’59” cut back to Albert, Jim, and Jules sitting on the meadow. On Criterion their order is now reversed, with Jules on the left of the trio and Jim on the right. Fox has to original, correct order. Note also that the Criterion truncates Werner in the middle of his face, while Fox has all of him. Criterion has clearly reversed the shot! At 59’01” cut to Moreau in the window. Again Criterion has Moreau/window on the left, while it’s still on the right on Fox. At 59’04” Albert walks from the meadow over the little bridge and then to the house. 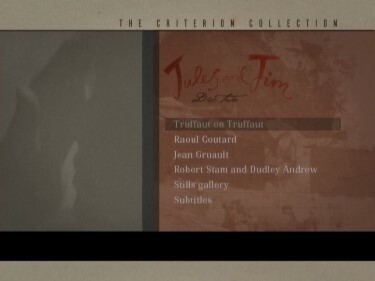 On Criterion, Jules is still sitting to the left of Jim (left and right still reversed), and the little bridge is now on the right of the frame, clearly reversed! Fox has the correct orientation (Jules to the right, bridge to the left). 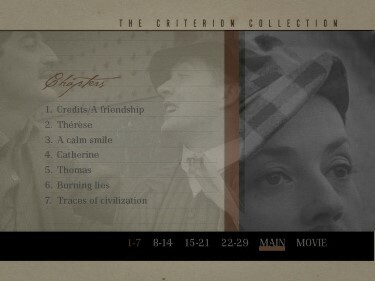 Also, the cropping on Criterion is much worse on Criterion than Fox on the left and right. You can see this in the meadow scene – Fox has more space to the left and right of the trio as they sit in the meadow. 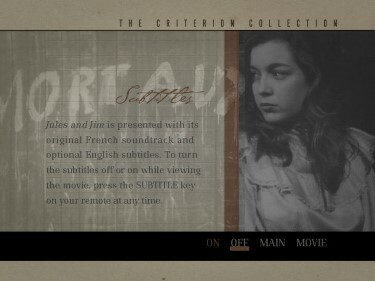 Further, the Criterion suffers from a problem that exists on so many Criterion DVDs, namely that the black levels fluctuate. Take a look at the night scene between Catherine and Jim around 1hr. 05’ The Fox does not have this problem. Criterion seems to have a real problem with quality control. As we verify and obtain more information we will post it here.